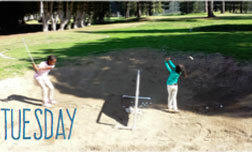 Rancho Park Golf Academy After School Program provides one-day and multiple-day golf programs for juniors during school days throughout the year at Rancho Park Golf Course in Los Angeles, CA. The After School Program is currently on hiatus, but we hope to be up and running soon! Please contact us if you'd like more information! 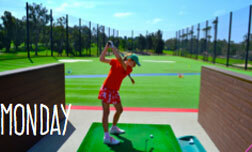 The private after school golf camp provides an individual and focused 2-hour learning experience for 3-5 children, which the option to choose between Par-3 course play or the full complement of activities we provide at the range (chipping, putting, pitching, full swing) at each lesson. 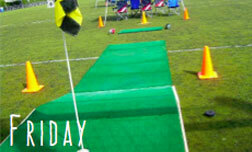 This is a great option for siblings, a family unit, or a small group of friends! 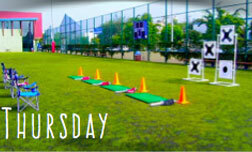 We are open on every school day through the year. 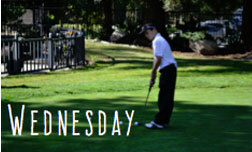 Students can select individual days and which area of golf they’d like to focus on. * Students can start the program in any week of the month. When you make your first payment, your subsequent monthly payments will be automatic until you choose to cancel or change your after school program subscription.